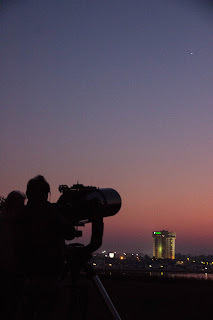 Weather is looking good for Astronomy in the Park tonight. We set up just before sunset at the south end of Brittlebank Park, across from the Marriot. If you miss us, we're there almost every Wednesday. Take a look at our calendar to the right, or our Facebook Events page. Also, our February club meeting is this Thursday. We will have a presentation on taking photos through a telescope, as well as a customized battery box. 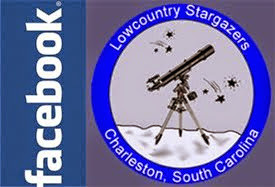 For more info about our meetings: The Lowcountry Stargazers holds its monthly meetings on the first Thursday of the month at 7pm at Atlantic Aviation, 6060 South Aviation Ave, North Charleston, SC 29406. This may be a better representation of our meeting location.